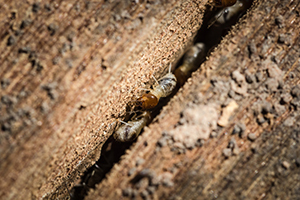 Kilter Termite and Pest Control offers free termite inspection services to any homeowner in El Segundo, California, and surrounding areas who suspects their home has termites. Our goal is to make it as easy and stress-free as possible for our customers to receive an accurate and honest assessment of their homes. This helps to ensure homeowners don’t delay inspection and treatment – a mistake that can make the treatment process more difficult and may lead to extensive termite damage throughout the home. Convenient – KILGUARD targets critical infestation sites precisely without the use of fumes, allowing our customers to remain home during treatment. Effective – Our treatment is proven effective at eliminating all types of termites and preventing them from returning. Warrantied – We offer an exceptional two-year warranty, so our customers can rest assured termites won’t soon return to their homes. As a full-service termite company, Kilter can even help to restore areas of your home that have been damaged. We have a team of wood replacement experts who can perform seamless repairs to preserve the appearance and structural integrity of your home. Don’t wait. Contact Kilter Termite and Pest Control today to schedule a free termite inspection at your home in El Segundo, CA.